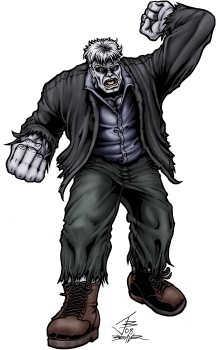 Pic 3 of 'Creature Iller Horror Theatre 2008 features Slaughter Swamp's favorite son, Solomon Grundy. While I made a small sketch of it two nights before drawing this, I sketched a different version full size while waiting in a friend's car. 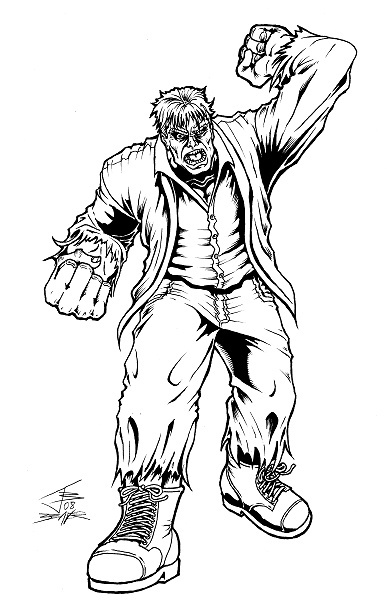 David Emge's zombie walk inspired Grundy's nearly clumsy walk here. 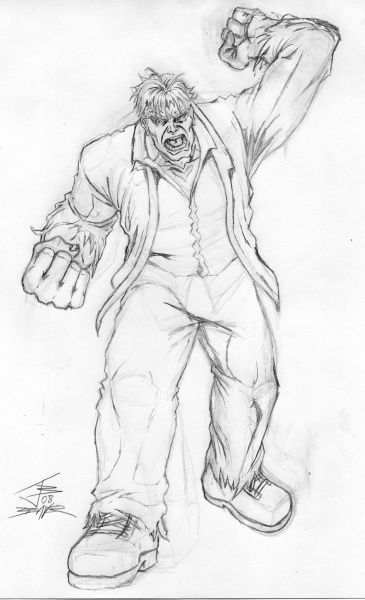 When I went to color it, some bits about Grundy's proportions started to bug me. So I lightboxed the original pic onto another sheet of papers while making some adjustments here and there. This pic was MUCH easier to clean digitally since there was no eraser burn.